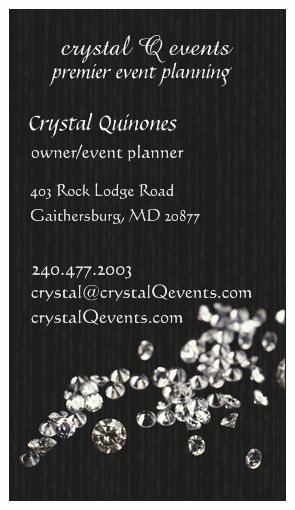 The official company name is crystal Q events and the domain name has been purchased. Now it is time to start designing the website, so keep a lookout for the website launch. Check out the company logos and my business card below.